brightprojects, based in Brighton & Hove, are creative specialists in bespoke architectural design and project management of extensions, loft conversions, garden rooms, kitchens, bathrooms, home remodelling and interior renovations. brightprojects provides a ‘turn-key’ service giving you a one-stop-shop for design through to completion on your building project. Prime Living is a new type of home improvements service offering a range of project advice, support and management services to home-owners. We focus on helping you achieve the home you want without you having to shoulder the worry, hassle and uncertainty of sourcing, dealing with and managing multiple contractors, suppliers and service providers. If you’re considering home improvements, renovations or adaptions works, we can assist with project-managing everything for you. We are experienced and qualified building project managers, and work with you to help ensure you achieve the result you want. We work on all types of residential projects, and if you just want a new kitchen or bathroom and are unsure where to start or with whom, or if you want someone to manage your full renovations, we can help. We're not contractors, and we're not tied to any individual contractors. If you engage us we work for you and will always ensure your best interests are served. We can also assist with property appraisals pre-purchase, to help you make more informed decisions. JVB Construction offers an extensive range of construction services. We provide exceptional building work combined with quality craftmanship, delivered on time and on budget. We specialise in sizeable home extensions, renovations, passives house and new builds. We have a dedicated core team of tradesman along with our small office team to provide the best possible service to our customers. Our Programmes Manager is a great asset to the company. They organise high value products directly with clients and suppliers working within agreed time scales and budget. They ensure the customers are involved at every stage of the project identifying any risks throughout. The Project Manager works alongside the programmes manager to ensure the projects are running smoothly and items are being delivered within the time scale and budget. The Contracts Manager oversees a variety of construction projects. They work closely with the workforce to ensure every site is running efficiently. They organise extra materials needed on site, and ensure the health and safety at each site is to a high standard. We have a Quantity Surveyor responsible for pricing new projects, creating detailed budget estimates and tender documents for customers. They follow the projects closely from inception through to completion. JVB Construction staff work meticulously in order to transform their client’s expectations of their dream home into reality. We produce the digital 3D CAD/BIM Architectural model for interior designers. 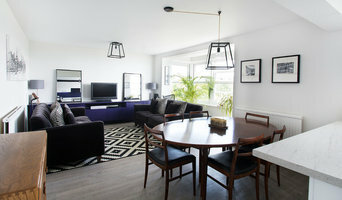 You receive black and white or colored 2D Floor Plans & 3D Floor Plans based on your photos, sketches and measurements. We provide High Quality Photorealistic Images with accurate material and lighting representation so you can demonstrate the full potential of your design to your client. Bright Green Homes is a design-manage-build company that specialises in Eco-Renovations. Over many years our in house architects, energy experts and skilled tradesmen have helped turn many houses into beautiful, energy efficient homes while maintaining their charm. We offer small works, Renovations, Loft Conversions, Extensions as well as New Builds. We can offer home energy assessments to help you decide what works you’d be best to to undertake and our architect can help translate this into action, designing in eco-principles and realising your ideas. Our own team are able to bring the designs to life and create a beautiful energy efficient home. For developers, architects and self-build enthusiasts we also offer Code for Sustainable Homes Assessments, Heat Loss and Water Efficiency calculations, Low/Zero Carbon Technology Feasibility studies, Day-lighting and U value calculations and can arrange for SAP calculations. We can tender for all or a part of a building project. Award Winning Sussex Based Design and Build Company. We can offer you all the services you'll need for your home renovation project - design, architecture, interior design, planning & consents, project management and build. We are one team, all working together towards your goal, with no unnecessary layers potentially adding costs and delays. Our streamlined process allows you to relax while we take care of the entire process. Whether you need a full home refurbishment or are building a new home, we are here to help every step of the way. You’ll always have real-time involvement and updates, with transparency and control over all elements of your project, giving you peace of mind. With offices in London, Brighton and Essex, we can help you wherever your project may be. Call us today to talk about your project and plans. Hinde is a family run, design and build company, owned by partners Jo and Gil and based in Brighton & Hove. We specialise is loft conversions, extensions, interior re-configuration, kitchen and bathroom redesigns, along with carpentry and joinery of any kind. We offer interior design where needed (free of charge) as part of the build. We can also help you with structural plans, interior layouts or simply just carry out the build work, whichever you prefer. With a degree in Fashion design and a career working for designers and agencies. Jo's background is a mix of design and production. She is passionate about fixtures and finish. Gil has over 20 years experience working across a wide variety of sectors in the construction industry, from 300 year old barn renovations to new build construction. He manages the teams onsite and isn't afraid to get his hands dirty. We love what we do and we look forward to hearing from you. New home builders and existing home renovators. Lady project manager. We specialise in designing and building new dwellings and renovating/extending existing homes. Conception - designing - planning - constructing. Rock Build is a well-established company which has built up a first-class reputation in the building industry by successfully delivering high-quality projects. The company's core values are quality, efficiency and reliability. We're proud to say that we've maintained a strong belief in good workmanship and a job well done. Whatever the size of the undertaking, our whole team are aware of the responsibility they have for excellence, safety and respect for the environment. Rock Build believes that people are our main asset, and we're always trying to create the best possible working environment and foster continuous training and development with a strong emphasis on health and safety. Oakmasters is a family business specialising in the design, engineering and manufacture of very high quality, beautifully finished oak buildings, oak houses and oak framed extensions. Our oak frame components are available in supply-only form, to be installed by independent building contractors and we also offer specialist installation services for many of our larger and more complex projects. A design and build company does pretty much what it says on the tin – designs and builds your home; helping you design your own house from scratch, pick out the small details and actually bring your dream home to life. They will take on the responsibility of planning the project, drawing up the designs, costing, sourcing the building materials and supplies, building the structure, installing any permanent features and possibly advising on the interior design of your home; all while consulting you every step of the way. 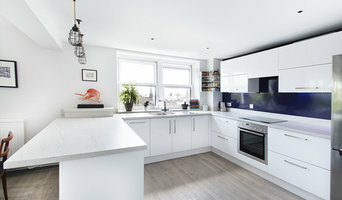 A design and build company in Brighton, East Sussex will usually employ in-house architects to handle all of the technical design aspects of your renovation or build, whether that’s to design a house or just a kitchen, and will also have main contractors or project managers that will oversee the construction work. The project managers will either work with external building contractors or construction companies, or the design and build company may employ their own builders to carry out the construction work. Either way, all the work is managed by one company and so this means communication is easier and the work is more streamlined. You’ll probably have just one design and build contract, making responsibility simpler and clearer, and also reducing costs for you. However, you should always check this design and build contract closely to see exactly what the firm is agreeing to take responsibility for, so that you don’t get left in the cold at any point. You don’t have to build your own home to hire a Brighton, East Sussex design and build firm. If you are renovating one or a few rooms of a house, a design and build company in Brighton, East Sussex can still help you – they can design a kitchen, bathroom, bedroom or living room and then complete all of the renovation work for you. 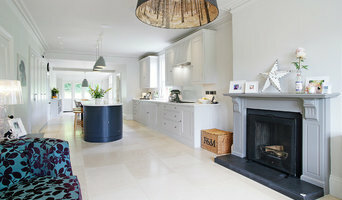 This could be a really good option if you are selling your home and want to increase its value quickly – hire a design and build firm in Brighton, East Sussex to redesign and renovate a few rooms of your house without the hassle of dealing with various professionals or the time-consuming effort of doing it yourself. If all of this sounds ideal, then start searching for design and build procurement companies in Brighton, East Sussex that can design a house, or room, for you and discuss design and build contracts with you. If you want to look for more specialised contractors, designers, architects or builders to help you renovate or build your own home, then you can still find them on Houzz. Here are some related professionals and vendors to complement the work of design & build: Interior Designers, Landscape Architects & Garden Designers, Architects & Building Designers, Photographers. How long have you been an established design and build company in Brighton, East Sussex? Find a design and build company on Houzz. 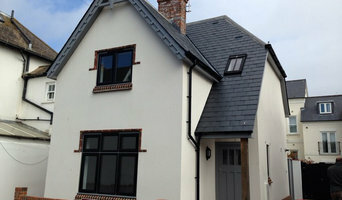 Narrow your search in the Professionals section of the website to Brighton, East Sussex design and build contractors. You could also look through Brighton, East Sussex photos to find a project you like, then contact the design and build company in Brighton, East Sussex that created it.